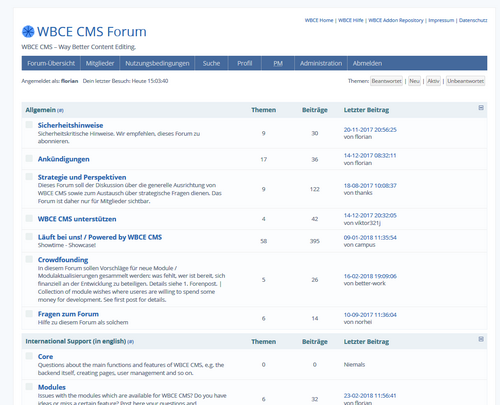 The WBCE CMS forum is the place where support questions and suggestions can be placed, new versions and other important information are announced and every other thing about this CMS can be discussed. For many WBCE CMS users, german is their first language - so currently most of the posts are written in german. Nevertheless you are welcome to post in english of course. So feel free to join the community, we are looking forward to meet you!